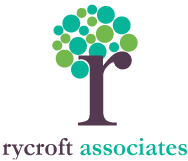 Established in 1987, Rycroft Associates has a strong reputation for high quality design and the consistent delivery of imaginative schemes, on time and on budget. Based in South Manchester we operate throughout the UK and work within both the Public and Private Sectors. Over the years since we established we have covered a huge range of projects and can offer the benefits of that experience to our future clients.